Why Aftermarket Car Speakers Are Much Better Than Factory Speakers? →Why Aftermarket Car Speakers Are Much Better Than Factory Speakers? Replacing factory speakers with a set of high-quality aftermarket speakers is one of the best ways of upgrading a car’s audio system. What is wrong with factory speakers? Not many people get the thought of upgrading the sound system of a brand new car. The music is mostly awesome and enjoyable for most people, but only for a short while. Let’s put it simply; car manufacturers install factory systems just to make the car vendable. In most cases, the manufacturer won’t spend much thought into the design of the speaker system. There are only a few car brands that come with factory “premium” speakers but even these can’t match most fairly priced aftermarket speakers. Unless your car is a relatively late model with a premium sound system, you have enough reason to do a complete overhaul of your speakers. Maybe the music was great at first but you have started to notice a difference, or the factory speakers weren’t impressive from the start. There are many reasons for upgrading your car’s sound system with aftermarket speakers. A well-chosen set of aftermarket car speakers can make a mountain of difference in the car audio system’s quality of sound. These speakers produce clearer, more detailed, more dynamic sound. You’ll also hear a deeper and tighter bass at all frequencies. Vehicle manufacturers are in the business of designing the car’s model and other performance-related aspects of the car. But they still make factory speakers to “complete” the assembling. Great sounding speakers are designed by car audio manufacturers who mainly focus on innovating and experimenting to make car speakers that sound better. Brand-name speakers are built using sophisticated designs. They feature multiple drivers (woofers, mid-ranges, tweeters and even super tweeters) for exceptional sound reproduction. Each of these drivers is built to accurately reproduce a specific sound segment. For instance, the woofers are for the lows and tweeters are for the highs. Aftermarket speakers are also designed with more advanced crossover circuits than those found in factory speakers. These circuits act as filters to ensure that the right frequencies go to the right driver. They enable the speaker to operate efficiently and deliver great sound. The difference in the sound quality of factory and aftermarket (brand-name) speakers is so profound. The commitment audio manufacturers make to ensure that your car speakers deliver top-notch in-car entertainment is clearly evident. Factory stereo systems including speakers leave a lot to be desired. The system is often programmed with equalization curves that reduce the bass level to compensate for the lack of power. The speakers are placed at different distances from you, and this makes the sound waves reach your ears at different times. That is why the music sounds muddy. This shortcoming of factory speakers is solved by replacing them with component speakers. If you have never experienced component car speakers in action, imagine music that sounds harmoniously before you instead of knocking at your knees or behind you. When you install component speakers, you are able to elevate the tweeters to the dash thus (in a way) raise the ‘stage’. Component car speakers allow for better imaging of sound. Tweeters not only add a new dimension to the music but make for the raised sound-stage, stereo separation, frequency separation, and tonal clarity. This allows for more accurate imaging and spices up your audio in a great way. 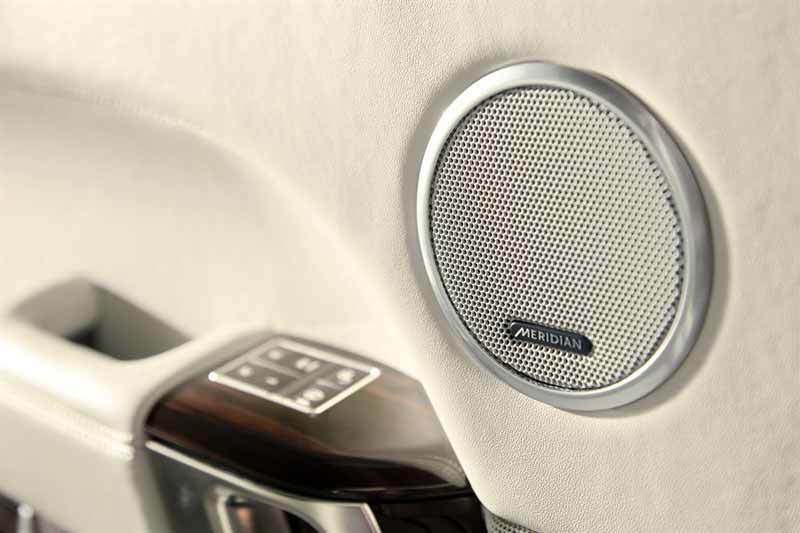 Since the design and durability of factory speakers is not a priority for the car’s manufacturer, cheap materials that easily wear out are used to make the speakers. Inexpensive materials used, such as paper, cannot sustain the extremes of cold, heat and humidity in any vehicle. The speakers cannot stand up to continued use and they start to tear shortly after the car is bought. As the materials start to fall apart with time, so does the sound quality deteriorate. Aftermarket speakers are built to last for longer periods. They are designed with better materials for higher quality sound quality and more durability. Tweeters are made of either soft materials like textile blends, silk, and poly or hard materials like ceramics, graphite, or metal for those who prefer brighter highs. The woofer’s surround must allow for free movement of the woofer cone. It also needs to be highly durable to tolerate extreme conditions of temperature and moisture. Rubber, foam, and cloth are the best choices for woofer surround. Factory car speakers are poor handlers of power and this is one of the major reasons why they produce low quality sound. They cannot work with most amplifiers since their RMS rating is low. You will notice this especially if you love listening to music at high volumes. The other reason for the poor power handling capacity of factory speakers is the low-quality materials used to make them. When cheap and weak woofer cone and surround materials are subjected to high power, they can’t help but tear. Aftermarket speakers, on the other hand, are able to handle more power. They can produce deeper bass and louder and cleaner sound. The speakers are at a reduced risk of clipping, tearing, or bursting even when more power is sent to them. If you love cranking up music in your car, a nice set of aftermarkets will allow you the pleasure of turning up the volume and enjoying your favorite hits with no worry about the health of your speakers. If you wish to upgrade your car’s audio system, the factory speakers should be among the first elements to replace. To get the best from your upgrade, consider installing high-quality component speakers and a sub-woofer, at least. That’s how you will hear music details that have not been audible when played by stock speakers. Even with a modest budget, you can get a great replacement for your stock speakers and push your in-car entertainment a notch higher.